I spent seven hours in the workshop today, after so long away from this project, it was nice to get back into it. 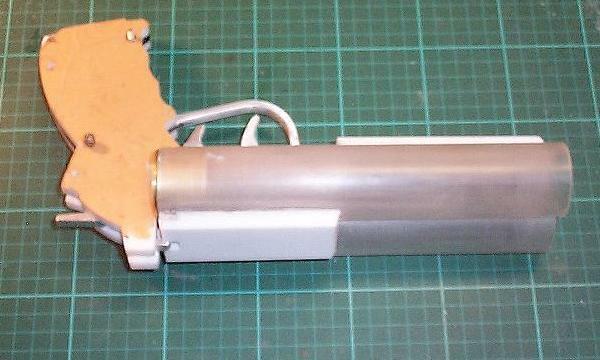 I finally have -all- the mechanical bits fitted; after some tweaking, the barrel-catch locks nicely, the barrel hinge and triggers are all in place and working properly. 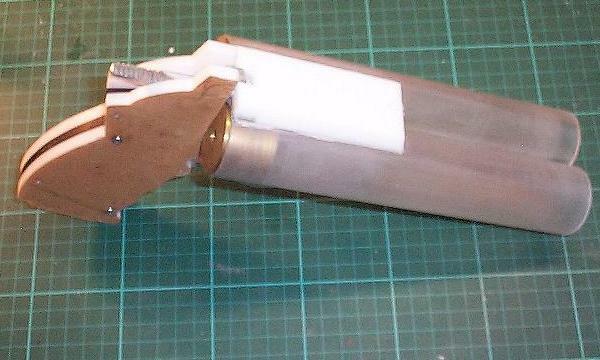 I’ve made the main part of the case shell (paper covered parts), these needed all sorts of internal shaping to fit over the working parts. I also spent a fair while shaping them to match the grip shape. They are 6mm acrylic and are held on to the chassis with 3mm bolts, so that the whole thing can be disassembled if necessary. I would’ve preferred to build everything from black acrylic but couldn’t source any 6mm at my local supplier. 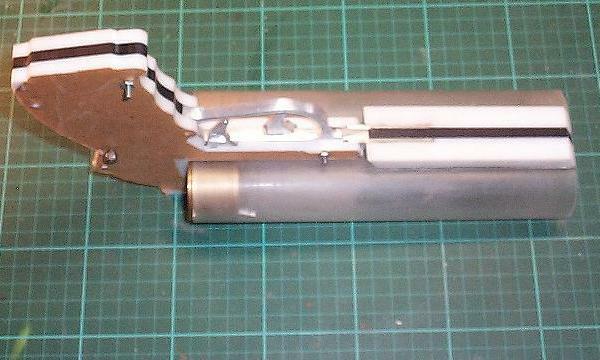 It doesn’t matter much as these parts will have additional 2-3mm pieces clad onto their outer surface which will form the grip detail. 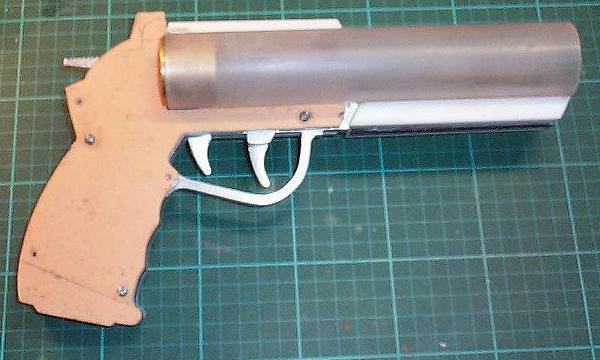 Also the gun will be painted black with metal parts and some dry brushed ageing so all the white will be hidden. I’m quite happy with how it’s turning out, now comes the fun part, where I do the main shaping and detailing to get to the final form. One nice thing I can tell already is that with all the material going into it, the finished prop will be satisfyingly heavy. I might not have to add any weights.